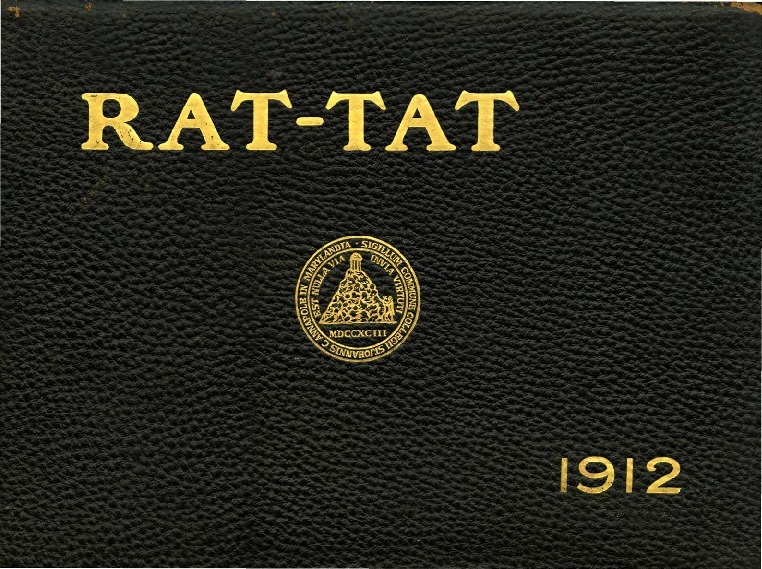 Rat-Tat 1912, fifteenth volume. Published by the Junior Class of St. John's College. Crum, Earl L. (Editor-in-Chief) and Magruder, Calvert (Assistant Editor-in-Chief), “Rat-Tat 1912,” St. John's College Digital Archives, accessed April 21, 2019, http://digitalarchives.sjc.edu/items/show/1793.